Recently, while talking to one of our new users, I came across an interesting question, “How do you configure Brightpod for retainer clients”. Since most of Brightpod’s users are marketing and creative agencies, I realized this could be a pressing problem for our customers. Therefore, in this post, I look a little deeper at how Brightpod can help agencies collaborate with retainer clients & plan their campaigns better. How to use Brightpod with Retainer Clients. Retainer Clients are important for an agencies business. They’re usually big companies that have worked with your agency in the past and will continue to work with you for a pre-decided amount of time. Most importantly, they offer a predictable source of income in the otherwise cash-strapped world of agencies. 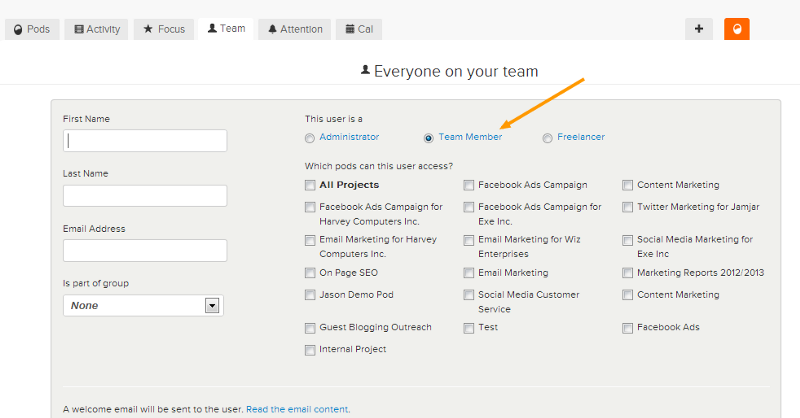 Keep your clients in the loop with varying team permissions. As agencies, one of the most pressing responsibilities you have is to keep your clients in the loop about the activities you’re doing and the results you’re getting. With Brightpod, you can easily add clients to ONLY those pods you want them to have access to, by inviting them as team members. This ensures that your clients can take a look at the tasks you’ve got planned and the progress on those tasks. For agencies that probably don’t want to include clients in their task management system but still need a way to collaborate, Brightpod has got you covered. 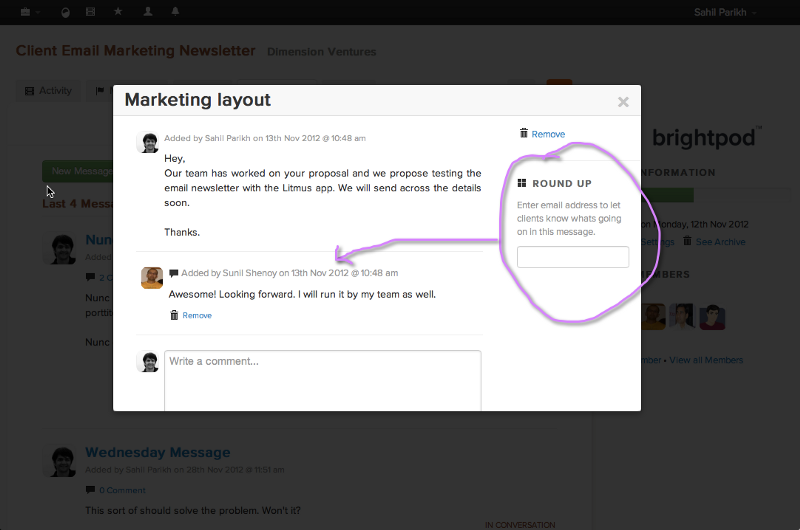 You can use the round-up feature to easily add clients to a discussion you’re having within your team. The best part? 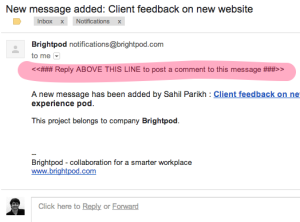 The client doesn’t need to be a part of Brightpod to receive or respond to your messages. They’ll receive your messages via email and can use email to respond to them. In many cases, marketing campaigns are ongoing. For instance, an SEO or content marketing campaign are marketing activities that require constant work and attention. 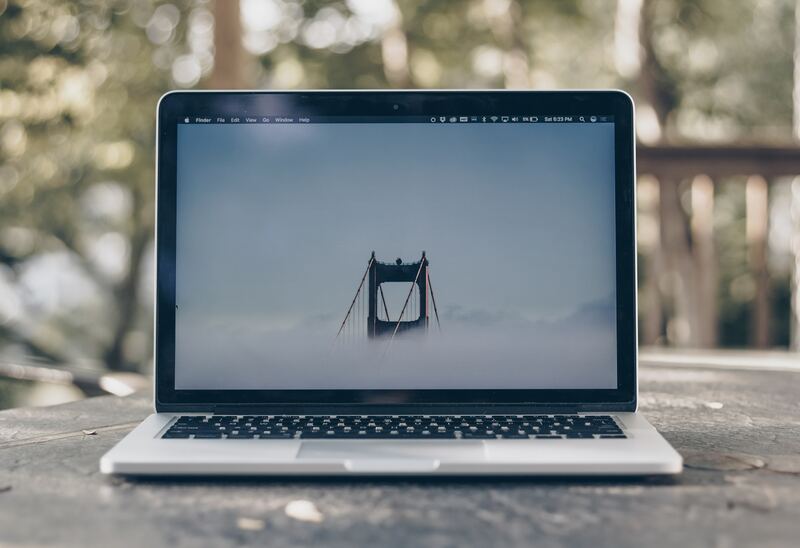 Most task management systems aren’t built with ongoing campaigns in mind. You’ll usually see a list of tasks that give no indication of the work that is constantly accomplished for such campaigns. With Brightpod, you’ll never face such a problem. To combat this very issue, Brightpod has two separate task views i.e. a standard list view and a Kanban style flow view. The flow view has an interesting purpose. You can drag and drop tasks from one task list to another and assign tasks easily. For ongoing campaigns, this works very well as you can have task lists that signify a checkpoint. 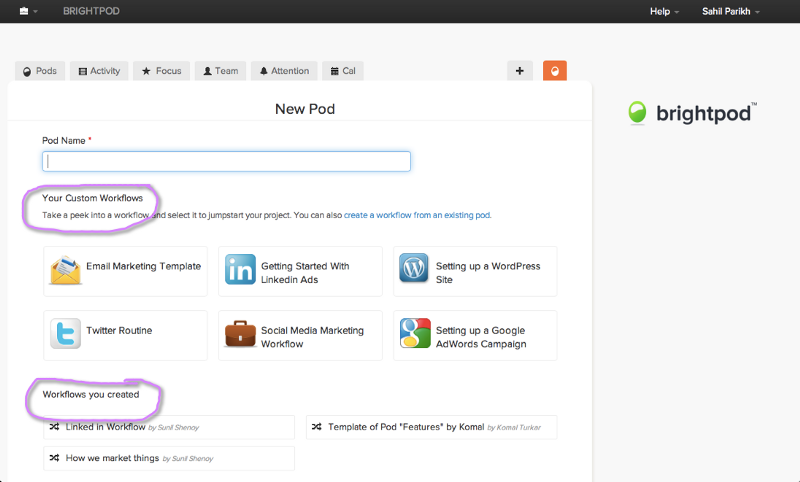 For instance, take a look at this pod I’ve created to handle the content marketing activities at Brightpod. As I finish any of the content pieces listed, I simply drag it to the next task list i.e. pending review or published. This pod gives me a better picture of the progress of my campaign than say, a list of never ending tasks would. For ongoing campaigns, there are also periodic tasks like weekly reports, or daily analysis that can be hard to keep up with. To help with this, Brightpod has recurring tasks that will simply pop up once you’ve completed the first iteration of the task. 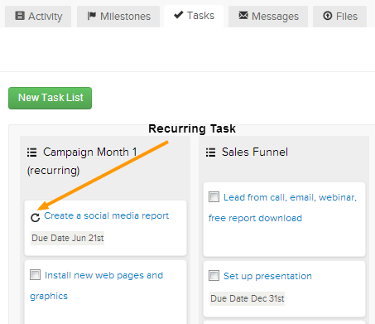 It’s also super simple to add a recurring task in Brightpod. Just create a task followed by “every” and one of the following: day/ week/ weekday/ month/ year/ Monday/ Tuesday etc. e.g. Check Google Analytics every week. ‍After the task has been completed. With most marketing agencies providing a full range of services from SEO and Content Marketing to PPC and Social Media, there are a whole lot of processes and workflows to follow. For retainer clients, agencies typically handle all or many of the marketing campaigns for them. In such a case, creating a new pod and entering in tasks over and over for each campaign can be time consuming. In Brightpod, you can either use one of our ready-made workflows or create your own custom workflows to start a new pod immediately. 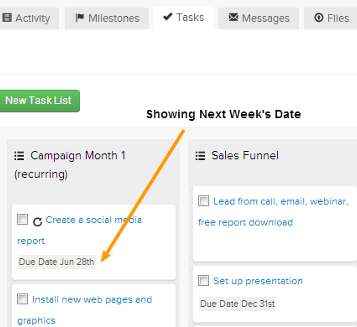 This will help you get started with campaigns faster and make sure you never miss out a task. Have you been using Brightpod to manage retainer clients? We’d love to know what you love, don’t love and most of all, what you’d like to see in Brightpod. The reason we decided to move our blog from a subdomain on Medium to a subfolder on Webflow. Here's a detailed narration of the entire process along with a useful checklist in case you are planning a similar move.